The team riders of eclat asked for a low profile, micro style pedal using the loose ball bearing systen and integrating a crmo axle, they scratched their heads and shortly after delivered the eclat "Slash Nylon" Pedals. 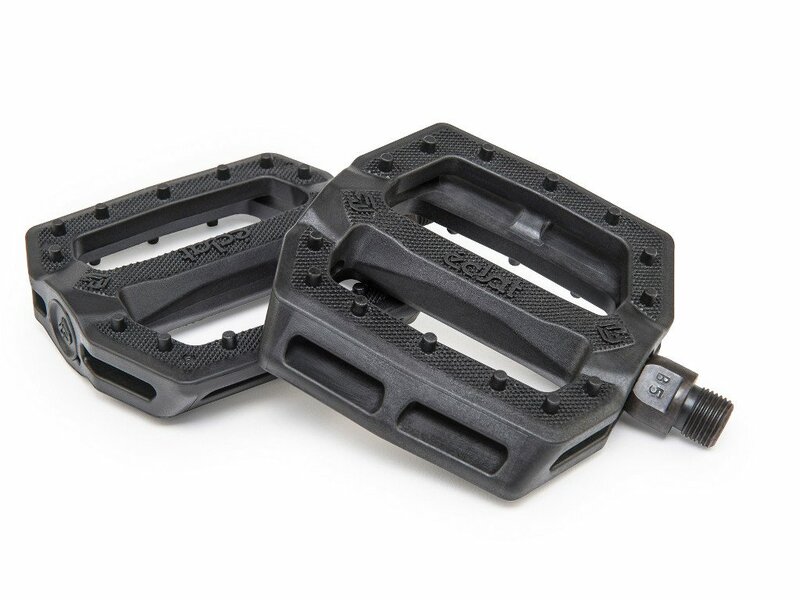 The eclat "Slash Nylon" Pedals features a lightweight design and has a nice knurled top surface. It's basically a faultless pedal.